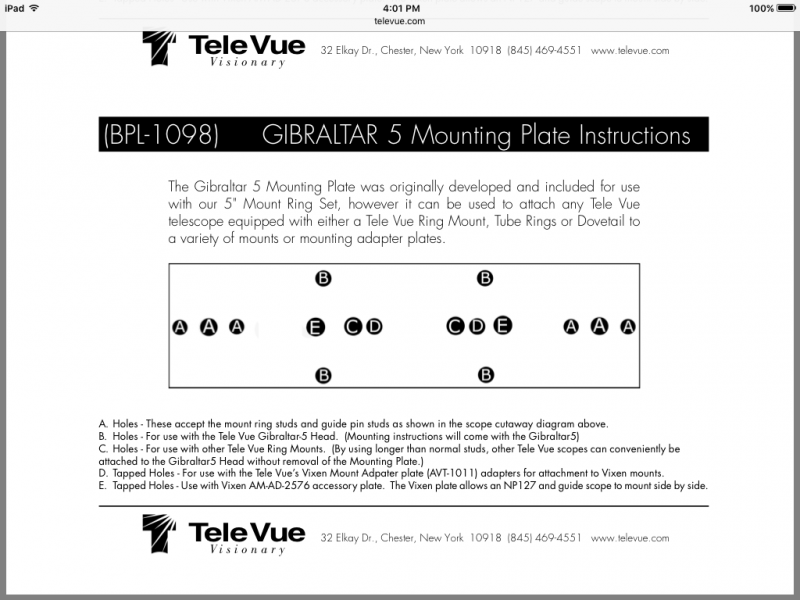 How does a 2 bolt TV clamshell ring fit a Gibraltar 5 plate? 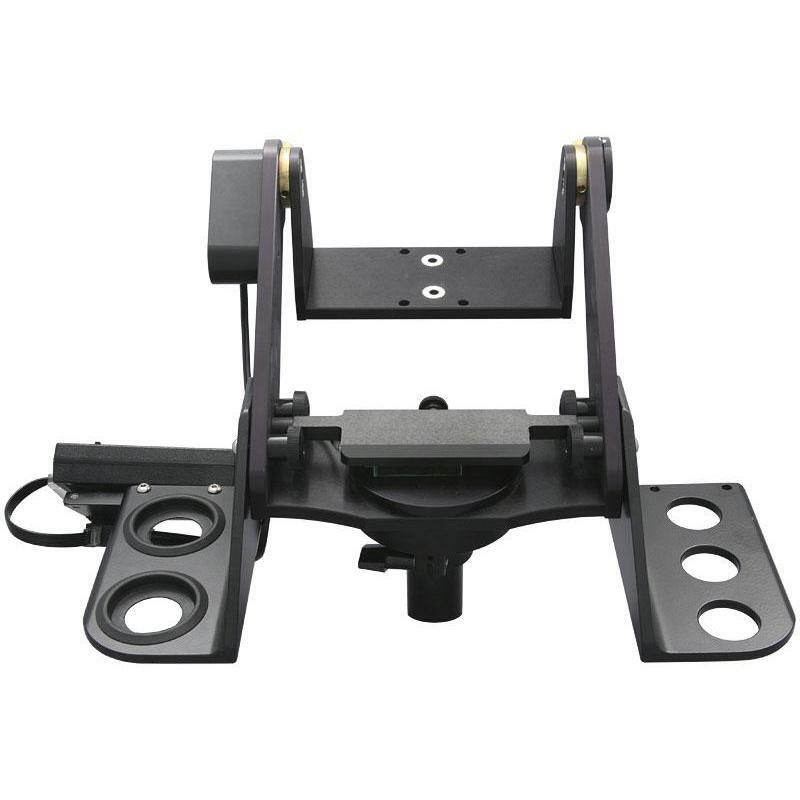 Unlike a Panoramic mount, there are 2 big silver rimmed holes that look too wide for bolts from a TV clamshell from a Genesis (early) or current 3 inch clamshells. Are they OK or would an adapter be required, if so what? Edited by 25585, 20 January 2019 - 04:31 PM. Many thanks! Looks from the diagram, the "C" holes are those I need to use, so I hope they will not be too large for my bolt sizes. I think the C holes are pass thru holes for 1/4"-20 bolts. If it were me I'd give TV a quick call to confirm your plans.